All major credit cards accepted Prices are subject to change. DON’T MISS THE BOAT: It’s a good idea to be at Middlebank II at least one hour prior to departure time. NO PRE BOARDING! The ticket office opens one hour prior to departure time. Middlebank II sails seven days a week, offering daily fishing trips from Captain’s Cove Seaport. 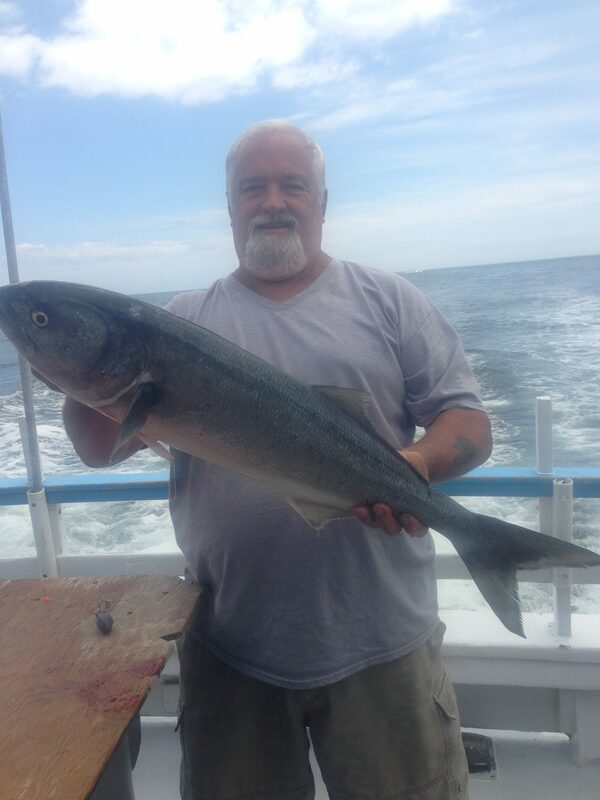 We fish the Long Island Sound from May thru December. 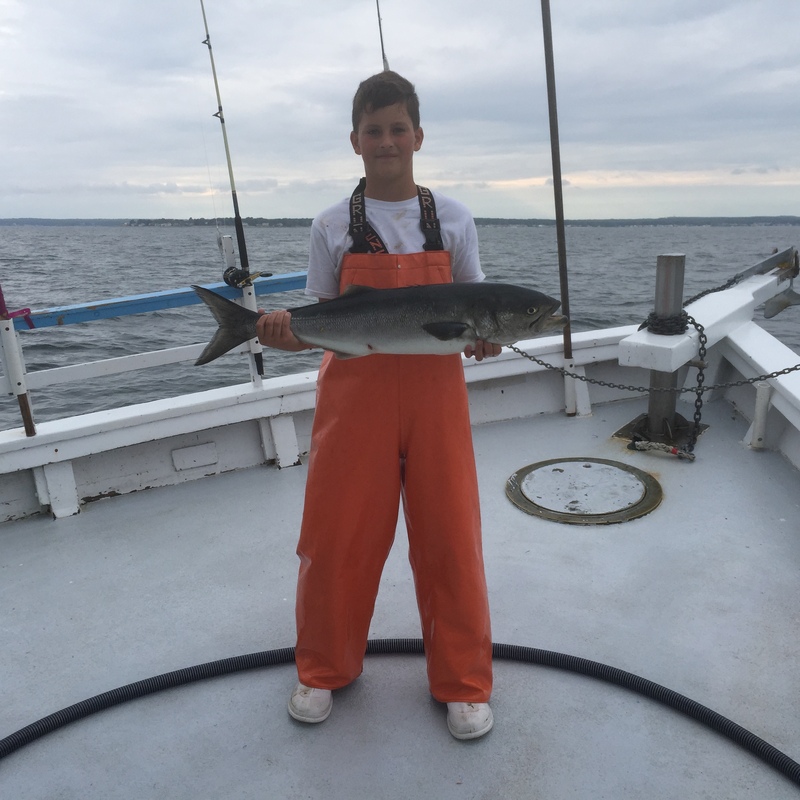 During this time, the Long Island Sound provides an abundant mix of the North East’s in-shore game fish. 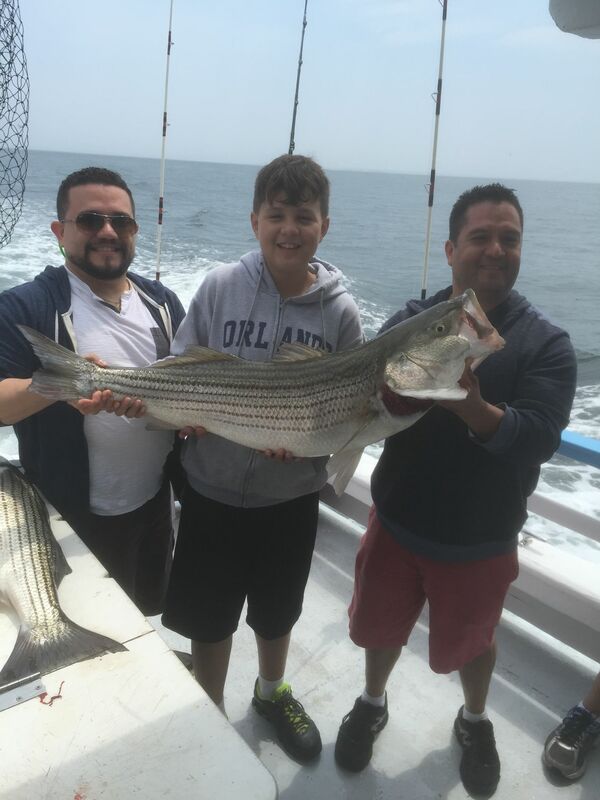 We sail daily from 8:00 a.m. – 2:00 p.m., and also offer sunset fishing on the weekends from 4:00pm – 8:00pm (Memorial Day – Columbus Day). No reservations are excepted for the 8am boat and 4pm on Monday, Wednesday and Friday. First come first served!!! 1mile off of exit 2 on I-95. The Snow Goose 2 is accessible to all the major highways. We do allow you to bring alcoholic beverages on our boat within reason… Anyone deemed “drunk” will be removed from our vessel immediately. no refund,and will be asked not to return…..
Black Pearl 2 open boat fishing sails on Saturdays and Sundays leaving at 7:30 A.M. and returning at 1:30 P.M. Call Captain Bob for what’s running and a fishing report. Call 203-509-0409 anytime before 9 P.M. 7 days a week. he Mijoy 747 is an 85-Foot aluminum fishing vessel. Coat Guard approved, it is equipped with the latest in electronics for safety and fishing. The courteous crew will help seasoned anglers and beginners enjoy a day on the water. The Mijoy 747 has ample room for fishing , sightseeing, and relaxation. Wheelchairs can be accommodated. 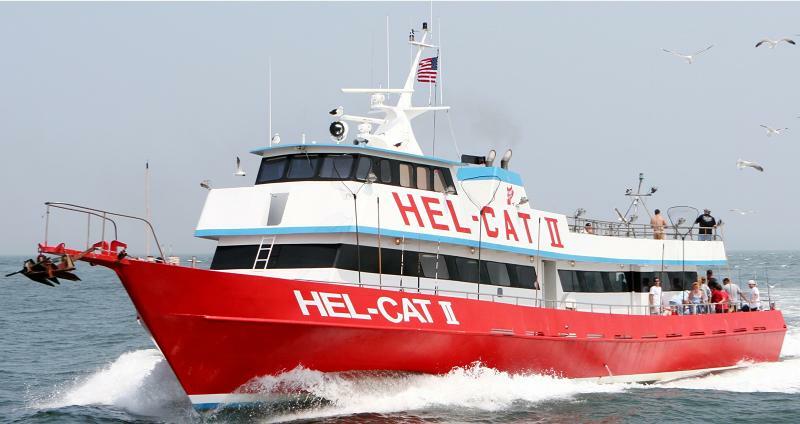 The Black Hawk was specifically custom built for the party boat fishing industry. Powered by twin 750 horse power diesels, she’s one of the fastest boats of her kind in New England. With Raymarine Electronics as a sponsor, the Black Hawk is fully equipped and ready to go…from the side-scanning sonar units to the twin 72-mile radars. She is Coast Guard inspected every year and is impeccably maintained throughout for your safety and enjoyment. Fast, Clean and Comfortable– The Black Hawk is a cut above the ordinary fishing boat. Come see why we were voted South Eastern Connecticut’s Number ONE Party Boat! The Black Hawk is run by Capt. Greg Dubrule, who has more than 40 years of experience in the fishing business. Together with his family, he strives to make your experience on board the best it can possibly be. If there is anything we can do to make your trip with us even better, please don’t hesitate to let us know. 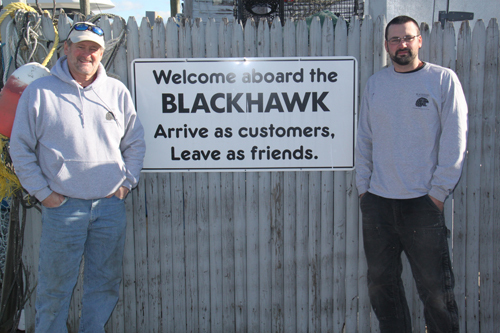 The Black Hawk Captains and crew believes that our customers’ needs are of the utmost importance. Our entire team is committed to meeting those needs. As a result, a high percentage of our business is from repeat customers and referrals. 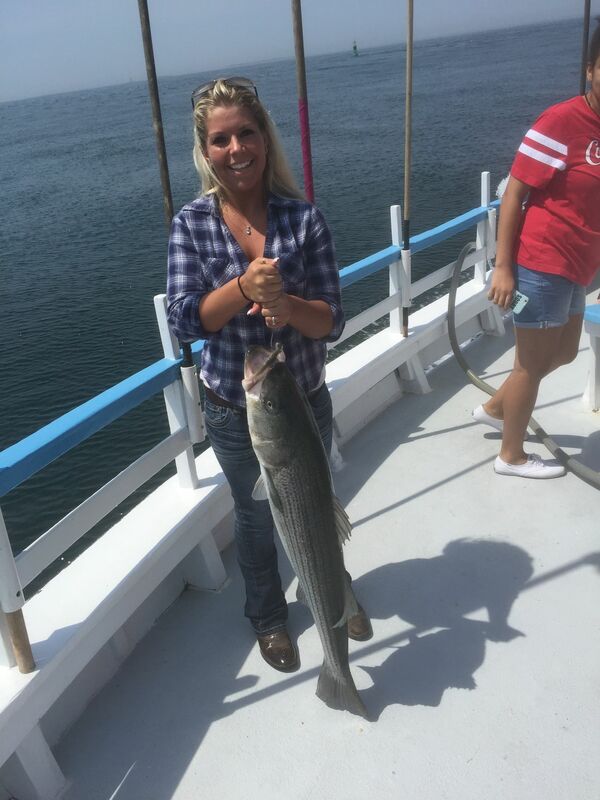 “Rods are bending non-stop as jumbo porgies, slammer sea bass, and a mix of a few fluke, bluefish and even a handful of mackerel come over the rails”, reports Heather from the Black Hawk. Captains Greg and Seth are at the helm of these 7:00 AM, all day trips with customers leaving for home with full coolers and smiling faces. “Just can’t get any better, reports Capt. Greg. “Drop it to the bottom and you’ve got ’em!” If you’re looking to show the family, kids, or grandkids a great fishing experience, now’s the time! Just an absolutely enormous bio-mass of fish; simply astounding! 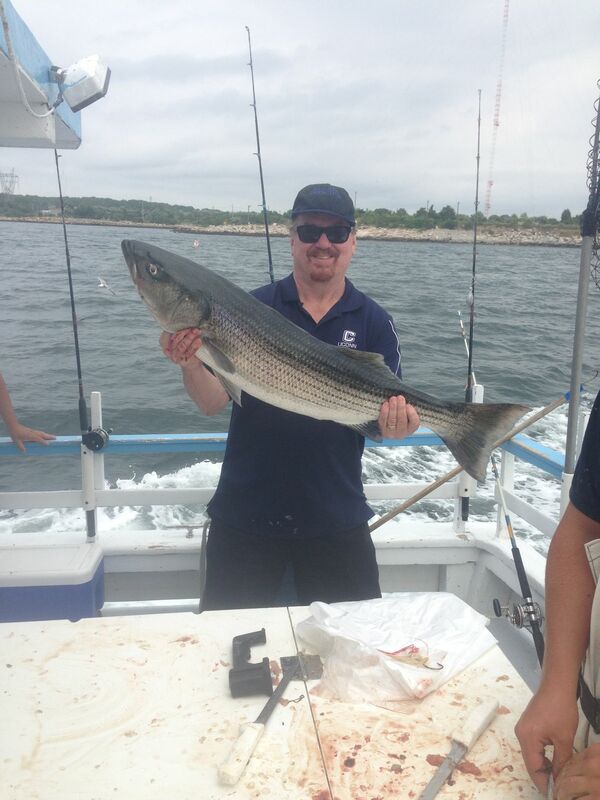 On the striped bass scene, Capt. Matt is crushing em’ on the night trips. We fished Thursday, Friday, and Saturday nights this week, with another one going out tonight, Sunday. Full boat limits every night, with a lot of fish pushing well over 40 lbs. 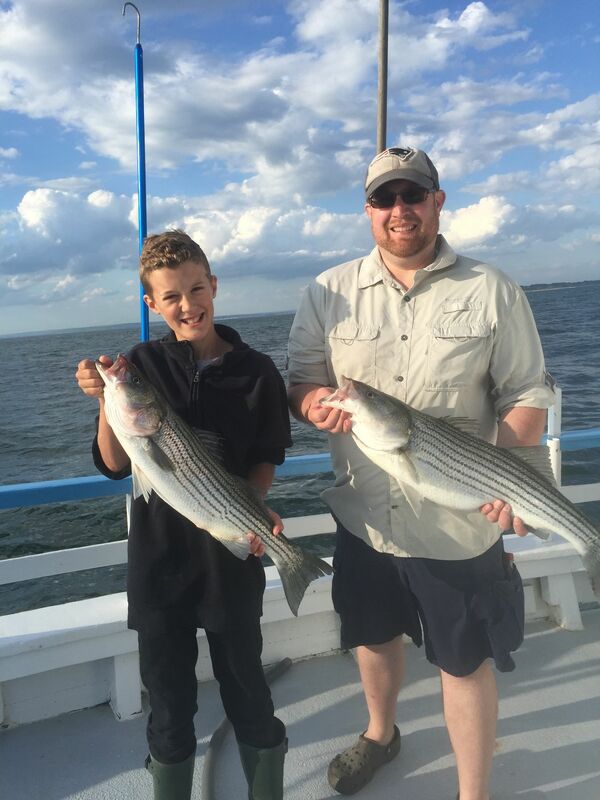 Saturday night showed some big fish- special congrats to 12 year old Ethan, who caught a 41 1/2 pound bass- and reeled it in himself! Great job Ethan!. 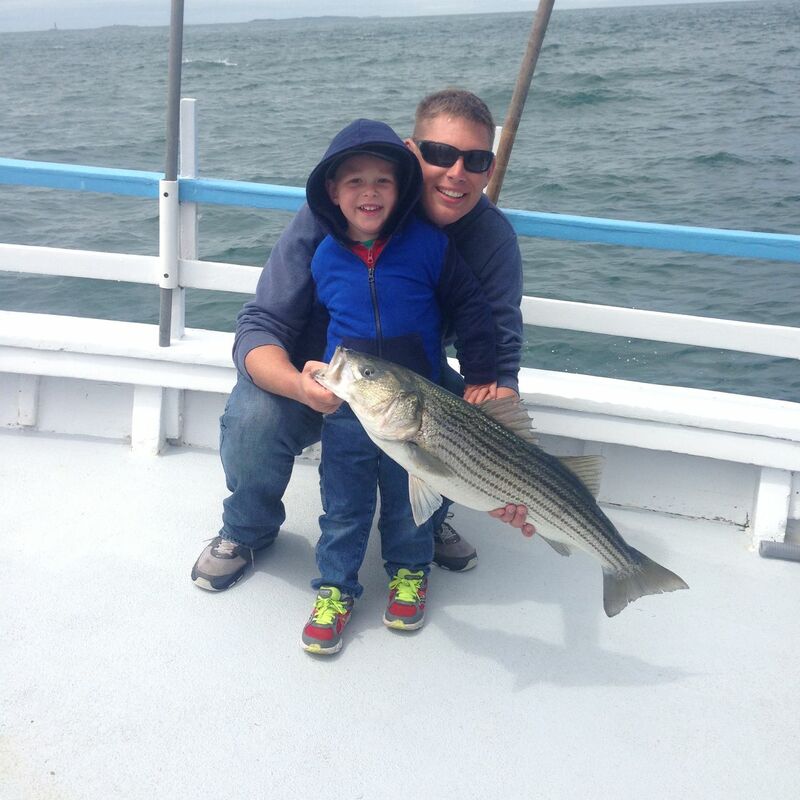 Striped bass fishing at its finest! Like our longtime motto says “We Catch Em’……Ask Around.” Come see for yourself. These specialty trips feature a limited amount of anglers and are by reservation only. They book up fast, so don’t get left out. 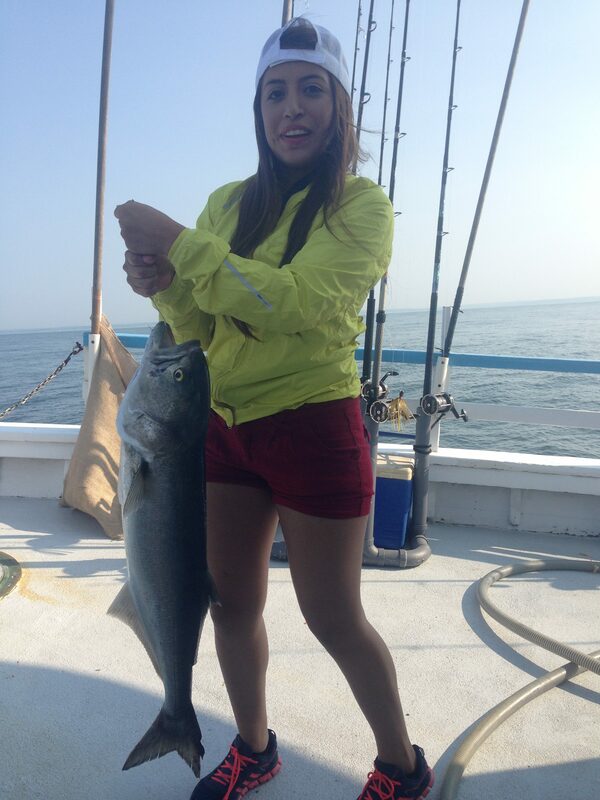 Locally, the bluefish still remain elusive; a few scattered here and there, but no amount to really work on. We’re all keeping our fingers crossed that this improves soon as we’ve got plenty of customers waiting! Heather from the office reports that starting this weekend, we will be sailing two trips on Saturdays and Sundays, at 6:00 am and 1:00 pm. Weekdays we will continue to go out at 7:00 am. Tickets are available to purchase in advance on our website. Our July charter schedule is just about full, but there are a few dates left, so contact us to get your group on the calendar. We have our fireworks cruises coming up in July, and then on Saturday evenings for the rest of the summer we will have our “Cruisin’ for a Cause” sunset cruises, with each week raising funds for a different organization. These are sure to be a great time, so plan on joining us this summer! There’s so much going on, and we look forward to seeing everyone soon! Next 25+ Great Fishing Memes (with a few extra for crabbers)!